For starters, Marlborough’s location is key, centrally located with access to Boston and Worcester via the Mass. Pike. That being said, “We don’t need to leave the city for anything we need, from entertainment to shopping to early childhood support,’’ said Sinni, a member of the Richer Elementary School PTO and the district’s Early Childhood Center. “There are beautiful parks in town — Stevens, Ward, and Ghiloni — and they really take care of them,’’ Sinni said. Jericho Hill is great for hiking and sledding, while Memorial Beach is a popular summer spot. They also “pretty much live’’ at Wayside Athletic Club, they like Trombetta’s Farm for ice cream and indoor miniature golf, and they shop at Kennedy’s Market. The city’s diversity is important .so they’ll grow up with other kids who don’t look like them, have empathy for kids who may not be able to do what they can do, and help them,’’ she said. “That’s a big part of why we’re here — acceptance for everybody. The number of restaurants in Marlborough, according to the mayor’s office. The city is especially well regarded for its mom-and-pop, hole-in-the-wall spots featuring Brazilian, Mexican, and other fresh international fare. The length, in miles, of the Assabet River Rail Trail, built along an abandoned railbed that passes through Marlborough and Hudson. When the Acton-Maynard section opens in 2018, that will add another 3.3 miles, according to Tom Kelleher, president of Assabet River Rail Trail Inc. Last fall, the city began a two-year pilot of a recreational bike-share program, offering 30 bikes spread across five stations. The year Samuel Boyd, regarded as the “father of the city,’’ opened its first shoe manufacturing business. By 1890, the year Marlborough became a city, it was a major shoemaking center, having produced footwear for Union soldiers and local citizens alike. Manufacturing has since given way to high-tech and other specialized industries. The number of stores at Solomon Pond Mall, located at the juncture of interstates 495 and 290. The mall also features a number of restaurants and a 15-screen movie theater. Apex Entertainment Center, meanwhile, featuring restaurants, hotels, and entertainment, including indoor go-kart racing, bowling, and laser tag, is opening in stages along Route 20. For a city with so many amenities and prime highway access, Marlborough’s housing prices remain reasonable. The median sales price of a home is $345,000, according to the real estate website Trulia. The residential property tax rate was $15.32 in fiscal 2017. 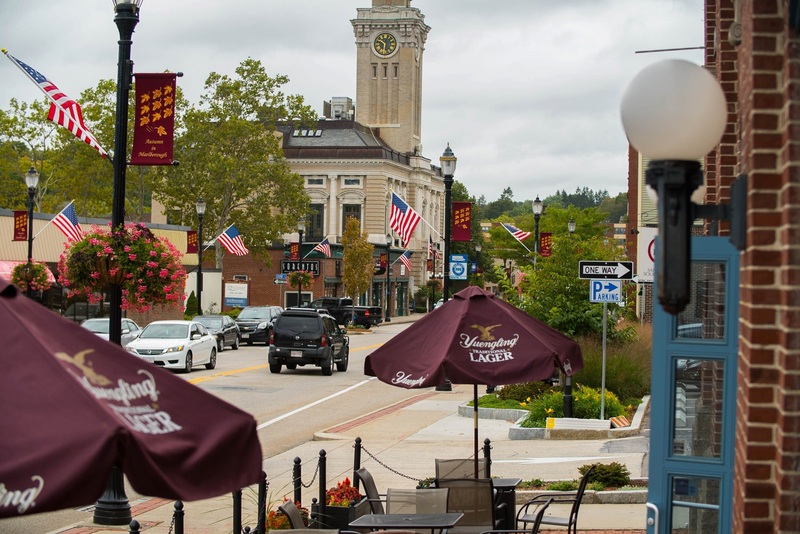 For a well-sized, centrally located city with a population approaching 40,000, Marlborough lacks a commuter rail connection to Boston. Buses run by the MetroWest Regional Transit Authority do pick up some of the public transportation slack within the city.